Leaf clearance: Clearance of all accumulated dead leaves in an eco-friendly manner. Thorough garden clean up: Battling all kinds of bramble and overgrown greenery. 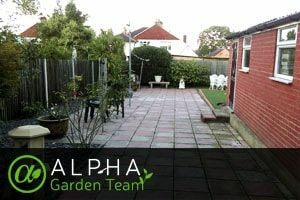 This service is recommended for totally neglected gardens and usually takes half or a whole day, or more. Merge your session with tree surgery or other services to get a discount. You will be visited by a team of two qualified specialists on a day and hour of your preference. After a thorough inspection of your green space, the experts will sit down with you to discuss your priorities and receive your personal instructions. They will then start their job, based on your requirements. And that’s it – the gardeners will grab all needed tools and equipment from their van and follow your instructions word by word to achieve satisfying results. With the professionals on board, keeping a presentable yard is as easy as reading the morning newspaper. 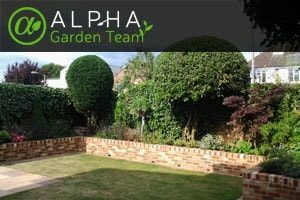 You can get anything from hedge trimming to expert jet washing with one quick call on 01172 420001. As an alternative, you can also book a session for any workday, weekend, or bank holiday by filling in our request a quote form. Our advisers will then be more than happy to supply you with free quotes or with 24/7 information for any of our services as soon as you request them.